Salomon Quest Verse 25 Backpack Asphalt is a tough, freeski inspired day-ride pack with enough volume for a day at the resort or an adventure on the road. 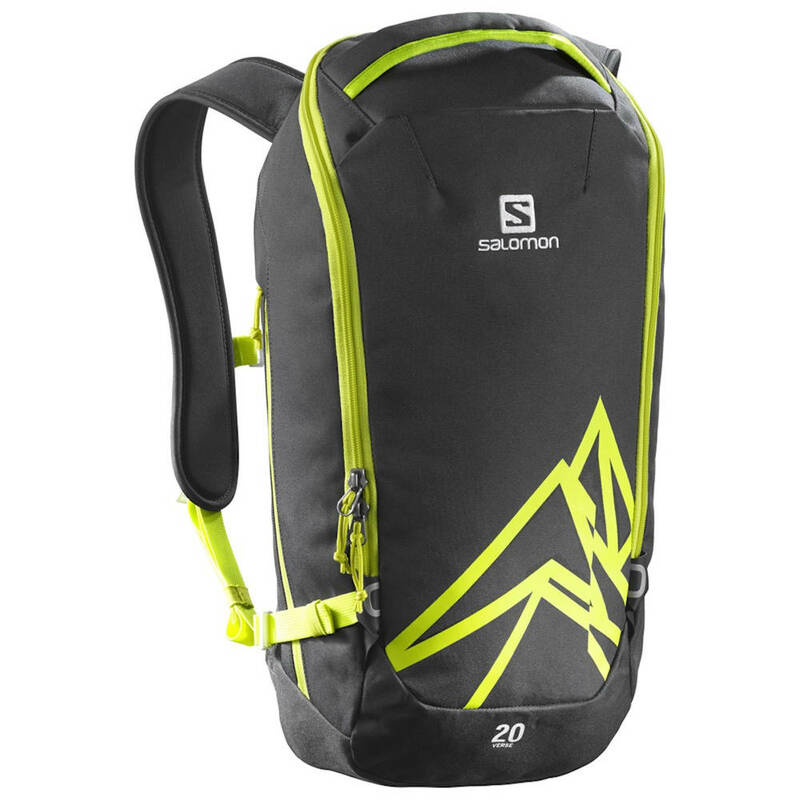 The Salomon Quest Verse 25 Backpack Asphalt is a tough, freeski-inspired day-ride pack with enough volume for a day at the resort or an adventure on the road. This pack carries your skiboards on the outside of the pack, thanks to heavy duty carry straps. Salomon’s Airvent Snow provides comfort in winter conditions. The thermo-molded back panel with large channels provides great comfort with air flow to cool your body. Thanks to this slick fabric, snow does not remain in your back to further improve comfort. Not just a winter pack though, this also works to carry your 15″ laptop and so much more for summer use (like if you want to work while on a hike!). Salomon extra-light adjustable sternum strap allows you to adjust the straps at the right height. The internal bladder compartment will help you to quench your thirst in any situation. Compatible with all 2L (70oz) bladders. Don’t hesitate anymore to carry your laptop in your backpack or daypack. The laptop compartment ensures protection for your computer thanks to its specific padded sleeve. •U-ZIPPED TOP OPENING – Large access to the main compartment.